Have you ever felt like you were completely alone in your Amazon FBA business? Like, no one else in the world understood why you got so excited about that 75% off item you found at Walgreens? Trust me, I get it! I've been there. In fact, it's why TheSellingFamily.com came to be. I wanted a place to share what was going on in my business with others…Without boring my friends in real life. Over the years, I have been lucky to make friends who are also sellers and we can ‘talk shop' openly. It makes a huge difference to have a place to go where people actually “get you”, right? If you are feeling like you need some new friends who get it, then you are in the right place, just keep reading! Aside from just feeling alone in your business, have you ever felt like you were just stuck in a rut? Constantly scanning the same types of items over and over? Feeling like there must be more to look at than just holiday candies. That is the reason why BOLOMart was started! We knew that if sellers could just get a glimpse of all of the possibilities out there available for reselling on Amazon it would make their businesses stronger and more profitable. 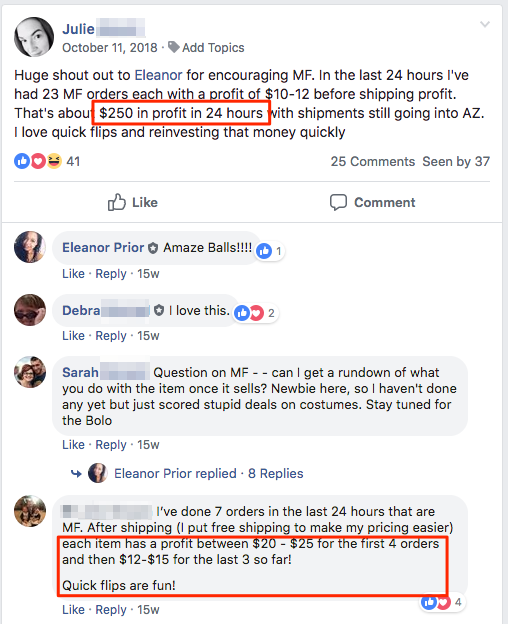 In 2014, Eleanor Prior, my BOLOMart partner, went out on a limb and decided to share all the things she was selling on Amazon with a select group of sellers. She wanted to show them what types of items were sitting on the shelves in stores all around the country. Many sellers thought she was crazy! How could she tell people EXACTLY what was selling? Those items would tank and she would never make another dollar! But, guess what?!? That never happened. 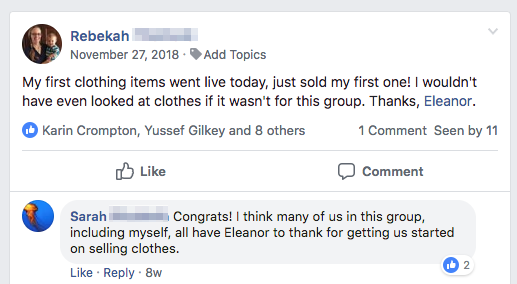 Not only was Eleanor able to continue selling those items, but she was also able to grow her own Amazon business year over year. But, it's not only her business that has grown. 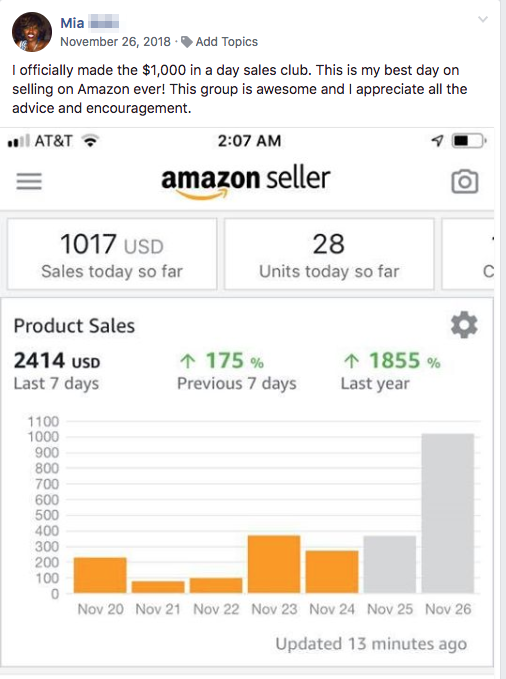 In December of 2018 she did over $100,000 in sales on Amazon! Our members are thanking BoloMart for their own business growth! You see, having the help of hundreds of Amazon sellers at your disposal is priceless. Getting an inside look at what they are sourcing helps you open your eyes to new potential! 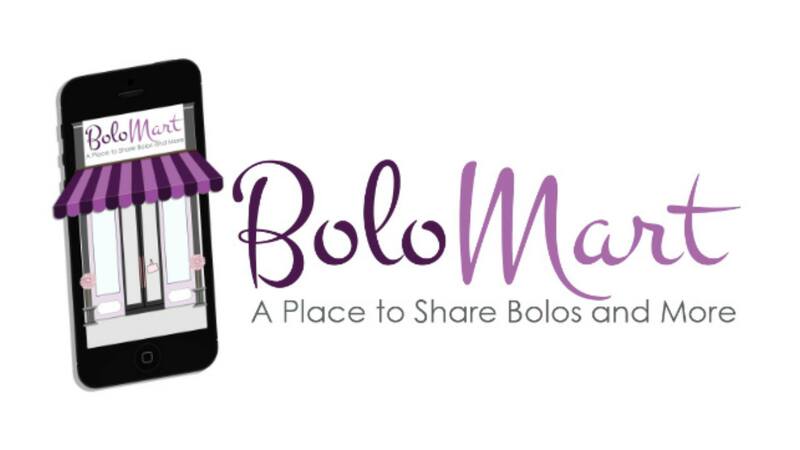 With BOLOMart it isn't ONLY about sharing BOLOs. We share what's working RIGHT NOW. We discuss different categories (like clothing mentioned above) that others may shy away from. When you have a group of people telling you, it's not as hard as it seems, it feels so much more do-able. During Q4, we helped so many sellers get off on the right foot with Merchant Fulfilling. Something they NEVER thought they would want to do, or have so much success doing! We even did a webinar just for group members so they didn't have any unanswered questions about it! But What About The BOLOs? 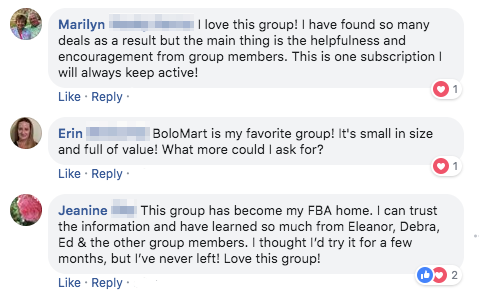 Alright, now let's get to the main part of BOLOMart…As you can tell from the name, BOLOs are a big aspect of this membership. Sharing finds with each other is really the backbone of what has been created within BOLOMart. You see, each member shares at least one BOLO (Be On the Look Out) item with the group each month. By doing this, the larger the group, the more things you have to look for in your local stores. 200 members = 200 potential items for YOU to find! And, don't worry, we don't let the group get too huge. We will never have thousands of members. Our goal is to keep enough members that you always have lots of things to look for, but not be so big that you get lost in the crowd and the items see a negative impact. 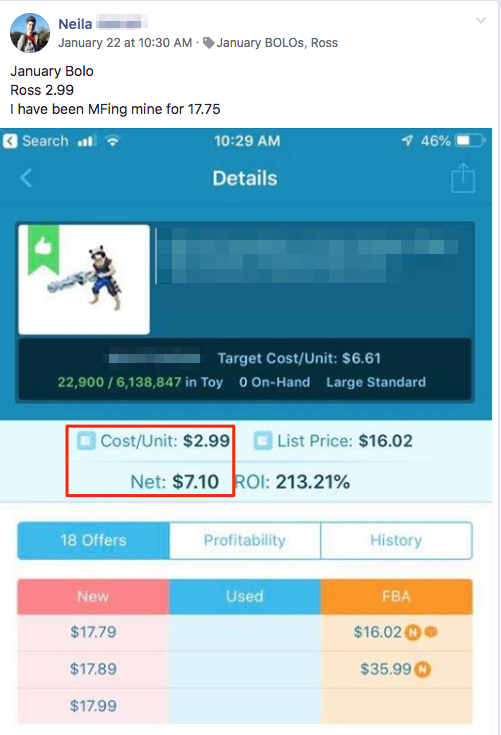 Once a share is placed in the group, our team tags it based on store and then adds it to a spreadsheet where members can easily browse/filter all of the monthly finds from the group. I know it may be hard to understand exactly what I mean when I talk about sharing BOLOs, especially if you are new to the idea. So, I'll show you some examples so you know exactly what happens in the group. This Guardian's of the Galaxy toy was found by one of our members at Ross (I'm sure you have a few of these by you, right?). The cost was $2.99 and she was selling it for $17.75 Merchant Fulfilled. Leaving a nice ROI of over 200%! 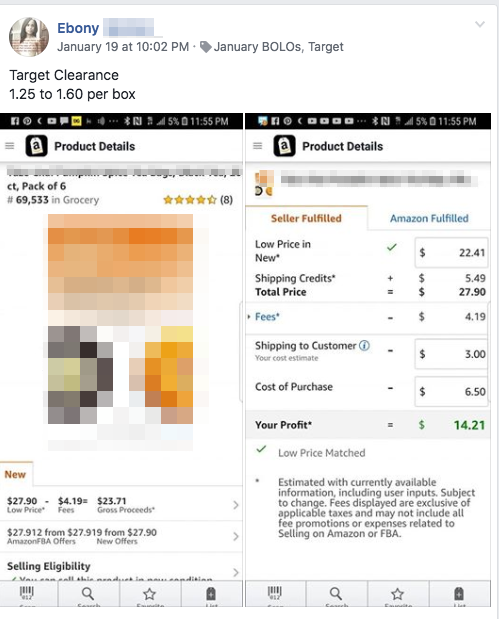 Now, do you see how helpful it will be to have the input of what other people are selling in their Amazon businesses? Maybe you had never thought to source at Ross before. Maybe you never looked at small action figures before. Maybe you would have never even looked at an item with a cost of just $2.99! There are so many reason why one seller may look at something and another seller will leave it on the shelf never to be scanned. Once an item like this one is shared in the group it is added to a spreadsheet for easy access. Here is what that item looks like in our spreadsheet. Then, once you head to the store to look for that item, you can easily sort the spreadsheet to see what other items have been shared this month from Ross. Now, you'll have multiple items to look for when you are out sourcing! 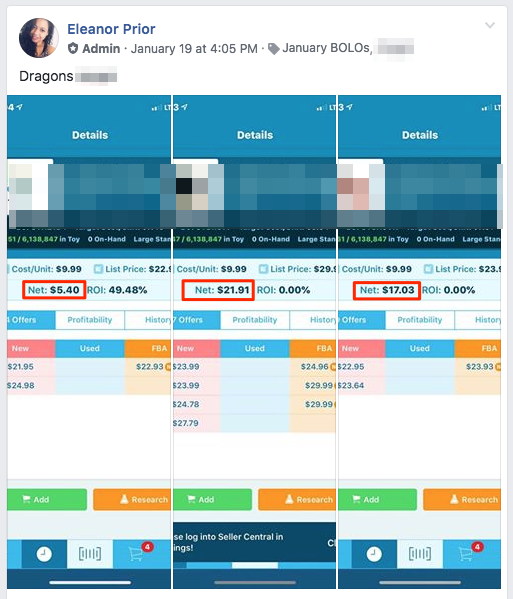 You can even easily pull up all the shares for one store on your smartphone from within the Facebook group. We tag all of the finds by store and month. So, you just click on the store name you are at and see if there is anything you should be looking for while you are there. Every time I stop at a store I do a quick check in the group to see if there is anything I need to be looking for. I'm there already, may as well make the most of it. These boxes of tea were found on clearance at Target for just $1.60 per box. When selling in a 6 pack the profit was over $14.00! Eleanor shared these awesome replenishable items recently (sorry, I had to blur almost everything since they can be found on the shelf RIGHT NOW). These dragons cost $9.99 and range in profit from around $5-$20. Just gotta find the right ones. Not on clearance or anything. I could go on and on about how many awesome BOLOs are shared in the group each month! Is BOLOMart Right For You? I have a feeling you already know that BOLOMart IS for you at this point, but I wanted to give you a few ways to KNOW for sure that it is a good fit! Still a good fit? Great! I can't wait to get to know you more in the group. Take a look at what these members have said about their experience as BOLOMart Members. As a member of BoloMart, you have access to a plethora of product finds per month and a community of like-minded sellers who you can go to for support in your Amazon business. Alright, to get started with BOLOMart you can sign up today for just $100. After that, you will be billed monthly at the same rate automatically. As long as you participate in the group as outlined above, you are good to go! I’m new and restricted in *everything* - will I just be disappointed with leads that I can’t even sell? We have found that new sellers have learned about tons of new, unrestricted products because of BOLOMart. Sellers who once thought that they were restricted in everything actually learned about amazing categories and brands that are completely ungated. Sure, there will occasionally be a great lead that you can’t buy (it even happens to me!). But we do ask that people only share leads that they aren’t restricted in. So if other new sellers are sharing leads that they can sell, then odds are that you can sell them, too! Plus, every time you see a restricted lead, go ahead and take the steps for Automatic Approval. This just might open doors for you! I don’t have a lot of experience - what if I don’t have anything to share? Here’s the thing. You’ll have 30 days to find your first BOLO to share in the group. In that time, you’ll be able to study everyone else’s BOLOs. That should open your eyes to entire new brands, categories, and products. You might scan the item sitting right next to someone else’s BOLO on the shelf…and that can become your first BOLO! Aren’t these BOLO lists oversaturated and going to cause prices to tank? Ah, the elephant in the room - I’m so happy you asked! We have been running BOLOMart for years and have found this is not the case. We deliberately keep the group size small and our members sign an agreement that they will not share BOLOMart leads outside of the group. We’ve consistently attracted the kinds of Amazon Sellers who know that the race to the bottom hurts everyone. Our members are happy to match prices instead of undercut. If you’re still skeptical, you can just use the BOLOs as inspiration instead of actual “buy list” items. You’ll constantly be learning about new products and opportunities just by hanging out in the group and studying the leads. I’ve bought other lists before and wasn’t happy with the leads. How is this different? So have we - ugh. We designed BOLOMart to be both a source of high-quality leads and a supportive community. We have BOLO requirements in place to make sure that all leads meet our standards. Plus, BOLOMart is much more than just a spreadsheet. The Facebook group is filled with experienced sellers (who generally share their best leads). The founder, Eleanor, proudly leads by example - often sharing dozens of BOLOs or new product leads each month. I’m just a part-time seller. Is this really worth it for me? BOLOMart is actually perfect for side hustlers. When you’re balancing FBA + a 9-to-5 or full-time parent duty, your time is your most precious commodity. That means that when you are able to hit the stores (on some random Tuesday when you finally have a moment to breathe), you’ll have a focused list of things to buy. No more wandering through Walmart without a plan, only to leave empty-handed as you rush to get home and cook dinner. I don’t have time to scroll through Facebook every day looking for leads. I hear ya. While we do ask that you share your lead in the Facebook group, the rest can be handled outside of Facebook in the spreadsheet. Our group admins will add each shared lead to a single spreadsheet each month. You can simply bookmark that spreadsheet on the 1st of the month and check it for new leads as you have time.